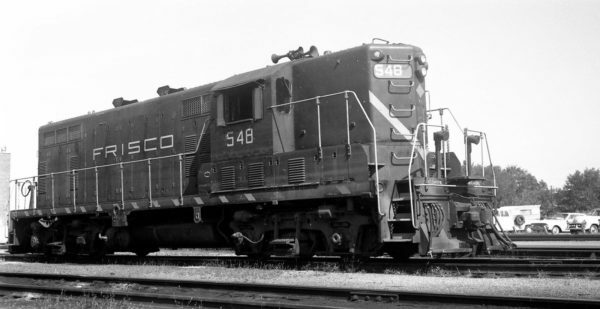 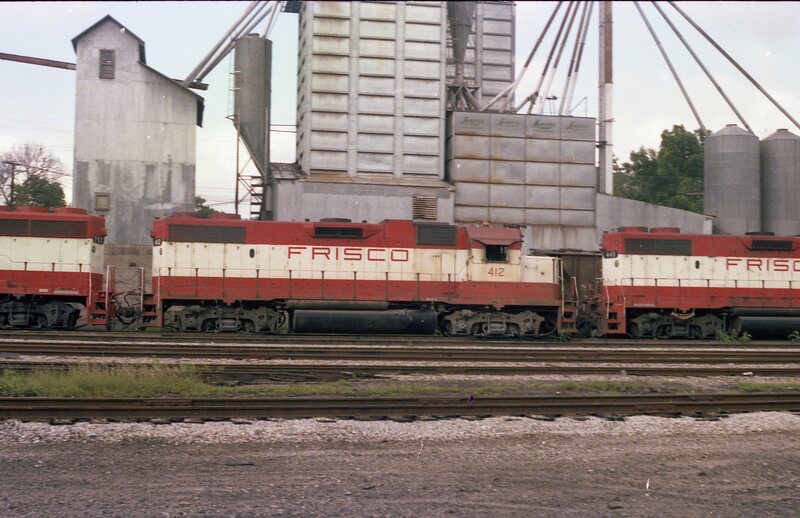 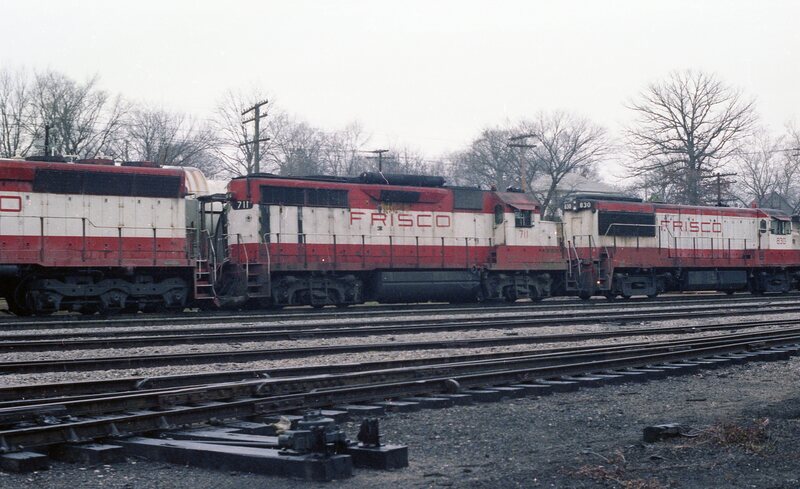 GP38-2 412 at Thayer, Missouri on August 1, 1979 (R.R. Taylor). 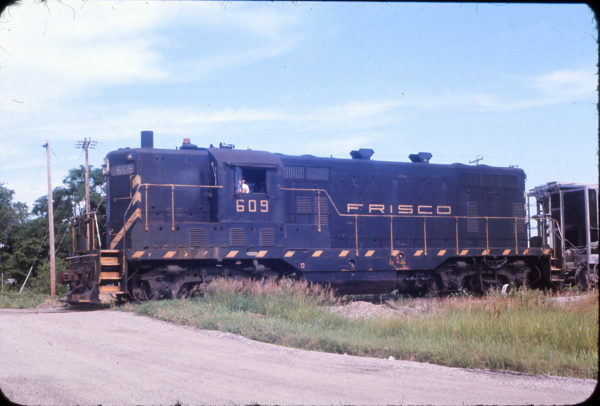 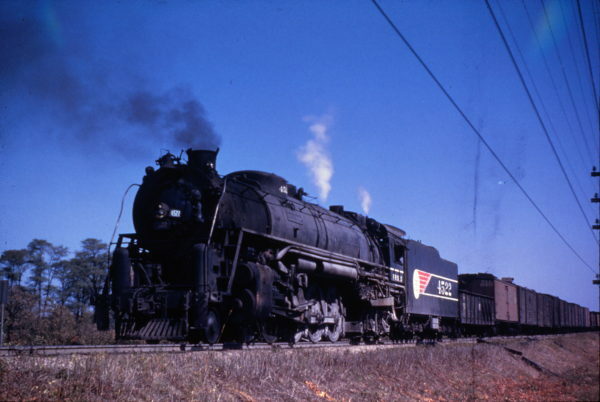 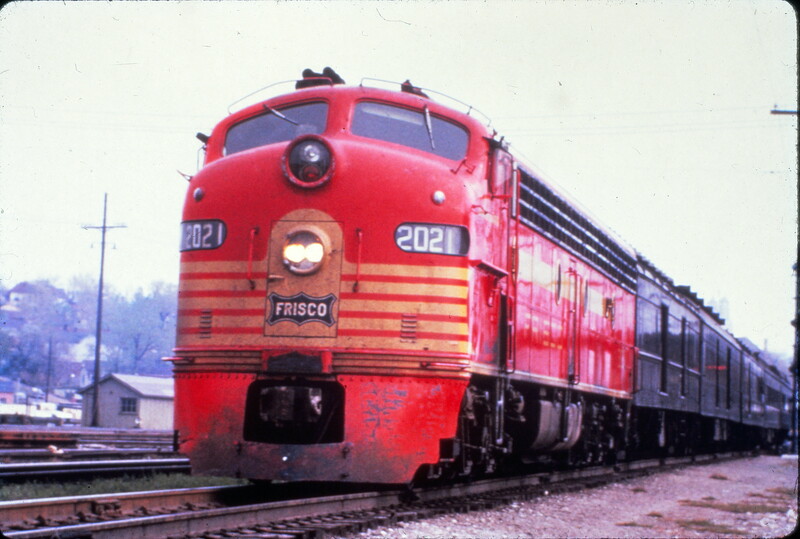 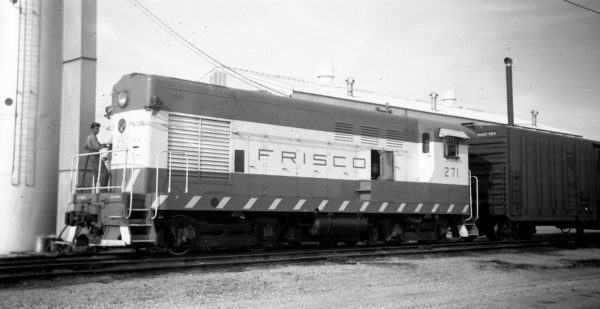 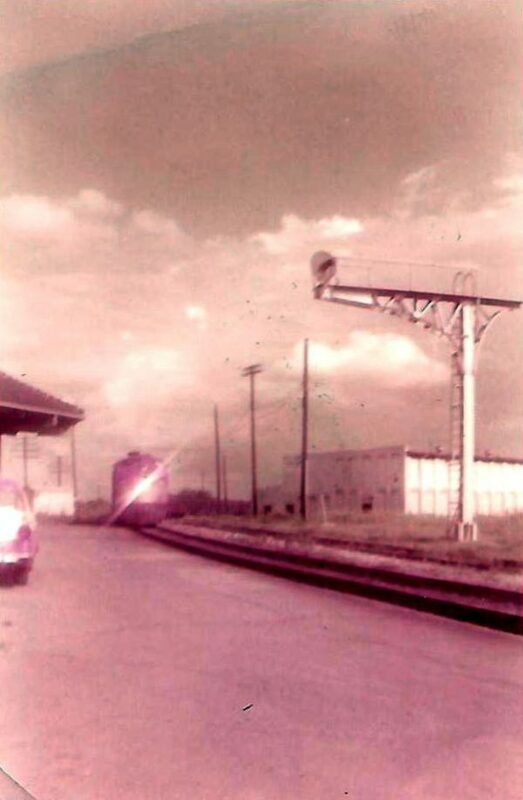 GP7 609 at Olathe, Kansas in June 1967. 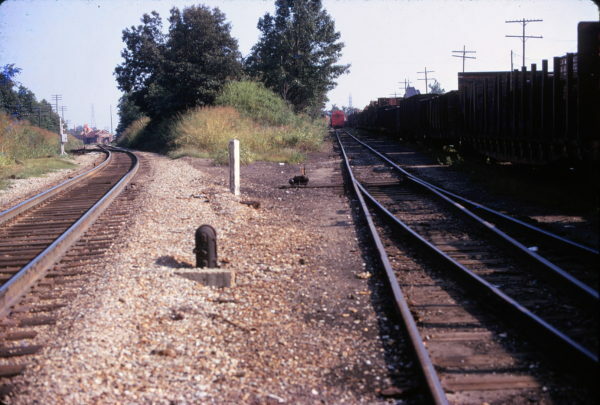 Frisco-IC Interchange at Holly Springs, Mississippi (Frisco on the left) looking south in July 1974.